Lew Bedell's Doré label only occasionally dabbled with black music in its early years. 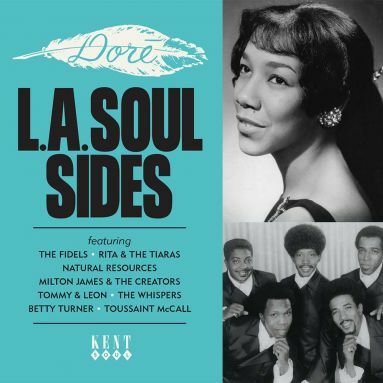 A compilation of soul tracks from 1964 to 1975 with two unissued tracks. Toussaint McCall with I'll Laugh Till I Cry, being one not issued until now. Other gems include Milton James My Lonely Feeling, Eddie Kool Where There's A Will There's A Way, The Whispers Doctor Love. We are also treated to a three minute version of Rita and the Tiaras Gone With The Wind Is My Love. A superb compilation by Ady Croasdell with a 19 page booklet with label scans and photographs. Issued on Kent Soul CDKEND 415.